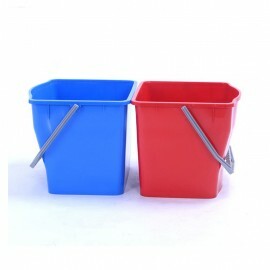 Blue and orange colored buckets. Double bucket mop wringer trolleys are made from high grade polymer designed to provide excellent container for cleaning applications. 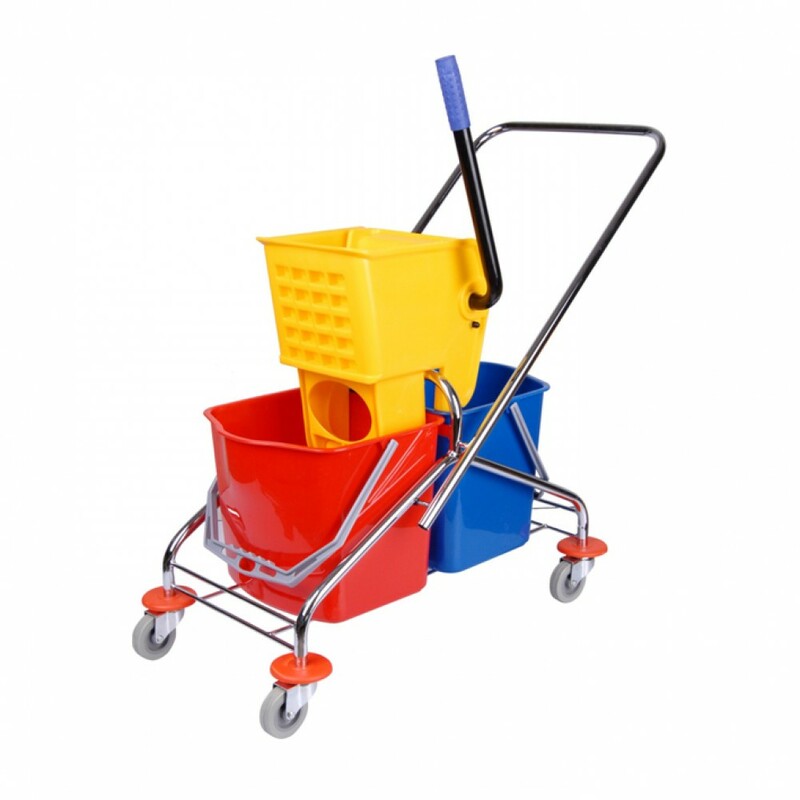 Our double bucket mop wringer trolleys have spacious bucket for cleaning, rinsing the mop and top portion for removing dirty water from the mop. These double bucket mop wringer trolleys are very easy and convenient to use with durable handle and wheels for transporting from one place to another. 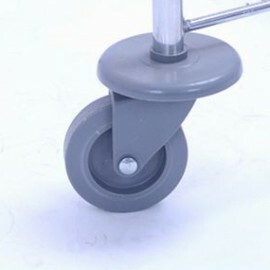 It features High back at wringer ledge area helps eliminate muscle and back strain, Moulded from smooth no-porous plastic with an international cation symbol imprinting on each side, Sloped side walls on three sides provides maximum mop target area , and Generous pour spout prevents splash and spills. 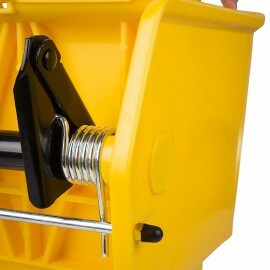 Best quality/price, High efficiency side press wringer and Large capacity for larger commercial cleaning jobs. 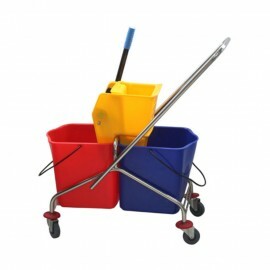 Using the second bucket for your dirty water, you increase the quality of your cleaning and the power of your cleanser.